The Essential Daryl Hall & John Oates by BMG Heritage at WA Tunes. MPN: 0741289. Hurry! Limited time offer. Offer valid only while supplies last. Essential Daryl Hall & John Oates is a comprehensive 2 CD collection that fully represents the stunning string of hits of these pop superstars. Essential Daryl Hall & John Oates is a comprehensive 2 CD collection that fully represents the stunning string of hits of these pop superstars. 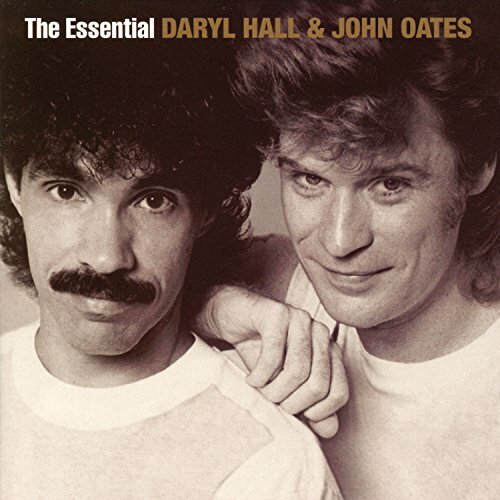 Crowned as the most successful pop duo of all time by the RIAA in 1984 'a title they retain today' Daryl Hall & John Oates remain highly active and visible on stage, in the studio, and on television. Their songs are part of the cultural fabric of American radio. Pop, Adult Contemporary, R&B, smooth jazz, classic dance, and 80s formats are just some of the places where you can still hear classic songs like "She's Gone," "Sara Smile," "Rich Girl," "Out of Touch," "One On One," "Maneater," "I Can't Go For That (No Can Do)" and many, many others. BMG. 2005. If you have any questions about this product by BMG Heritage, contact us by completing and submitting the form below. If you are looking for a specif part number, please include it with your message.